Vacations are usually temporary. You take time off from work to go relax and take a break from reality. But what happens when you visit a place once, twice, maybe every year…and decide you want to move there? Will everyday life in that place still feel like a vacation? 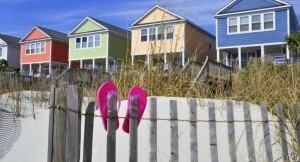 More than 14 million visitors per year know the Grand Strand as a top vacation destination. With its 60 miles of white-sand beaches and oceanfront hotels, thousands of restaurants and shopping outlets, and more than 100 golf courses and attractions, it’s easy to see why so many people love vacationing in the Myrtle Beach area. However, if you move to Myrtle Beach South Carolina, we think you’ll enjoy a vacation for your lifetime. More than 330,000 permanent residents now call the Grand Strand home and a growing number of visitors are now finding out that the Myrtle Beach area is also a great place to live. In the Where to Retire Sept/Oct 2012 issue, the magazine included Myrtle Beach in its profile of low cost towns for retirees. Towns in this ranking were chosen for their below average living costs, affordable homes and low taxes. 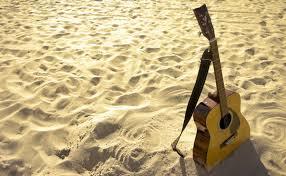 What are some of your favorite things to do on vacation? Go to the beach. Play golf and tennis. Explore nature. Find a new favorite restaurant. Buy gifts and things. Well you can enjoy it all when you move to Myrtle Beach. Imagine having endless time to discover every hidden treasure along our coast. Plus, you’ll receive local resident discounts to a host of activities and businesses. To follow are coupons and savings links for a few things to keep you busy. Myrtle Beach Skywheel offers a locals discount year round for all Horry and Georgetown residents. Just show your local ID and you will get $2 off. You can get Annual Passes which are great for locals: from now until the end of the year they are $25 for adults and $15 for children and are good for one year from the purchase date. You also get to bring up to four guests a day with you and they get $2.50 cents off their ticket. Medieval Times offers a locals special of 50% off adults and 20% off kids though November 30th. Ripleys Attractions runs 1/2 off single ticket admission for residents of Horry, Georgetown and Brunswick Counties for any age at all 5 Ripley’s Attractions. This local promo cannot be combined with any other offer. You must show your local ID at the door. From now until November 15, Veteran’s and all active duty military, retirees will receive free admission with military ID. Families attending with military will receive half off single ticket admission price as well. Hard Rock Café offers a 25% discount on food and non-alcoholic beverages YEAR ROUND to all Horry County residents. 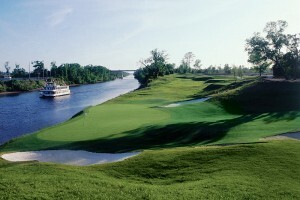 Myrtle Beach Golf Passport offers specials for nearly a hundred courses along the Grand Strand plus 25% off at restaurants like Thoroughbred’s, Ruth’s Chris Steakhouse, Bistro 90, Collector’s Café, Bandito’s, and more! Get your passport online for just $42.50 today. 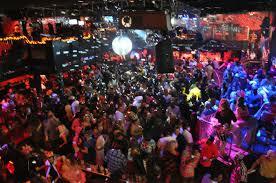 Of course, there are also hundreds of FREE things to do in the greater Myrtle Beach area as well. Check out some of our favorites. • The Grand Strand boasts 60 miles of beautiful beaches, and all of them are free. • Admission to the Broadway at the Beach complex is always free, although there is a fee for attractions such as boat rides and rides in the Pavilion Nostalgia area. They also showcase a lot of free events like concerts, fireworks, and family-friendly shows. Click here for upcoming events. • Like Broadway at the Beach, admission to the Barefoot Landing complex is always free, but there’s a fee for the attractions. 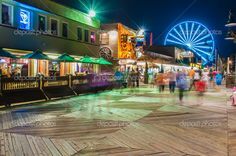 • The Myrtle Beach Boardwalk is free to stroll. The Boardwalk area frequently holds free concerts, holiday celebrations, and other events. Click here for the event calendar. • The Market Common is a shopping and dining complex in a beautifully-designed village setting. They also host a lot of free festivals and family-friendly events throughout the year. Click here for their current event calendar. • T.I.G.E.R.S Preservation Station is a free wildlife exhibit where you can observe tiger cubs and large cats interact and play. 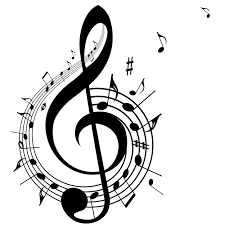 • La Belle Amie Vineyard holds weekly music and wine events on Wednesdays, Fridays, and Saturdays. Many of them are free. Others are affordable. • The restaurants at the Murrells Inlet Marshwalk host free live music most nights for patrons eating out or having a drink. Click here for the most updated schedule. • The newly renovated, 3 clubs in one, 2001 Nightclub offers free admission to locals and free admission to all ladies before 9:30 p.m..
• WOW! There are so many free treats you’ll receive on your birthday. 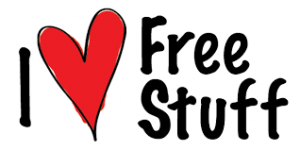 Check out this complete list of freebies we found. 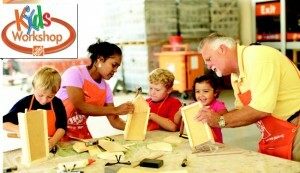 • The Home Depot offers free kids workshop classes from 9:00 a.m. to noon the first Saturday of each month. If your child likes to build things, then this is perfect for them! See what’s available at your preferred location at the following link. • Michael’s Craft stores in Myrtle Beach offer free crafty classes. Check individual locations for availability. • The Lowe’s Build and Grow program for kids sponsors free classes on Saturdays at 10:00 a.m. once or twice a month. • Pottery Barn at The Market Common has free design classes on the weekends once or twice a month. What class is coming up next? Check it out here. 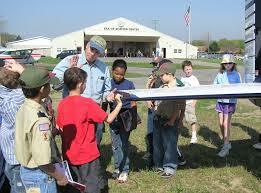 • If you haven’t heard about the Young Eagles Program, then you really must get on board! Kids can get free airplane rides from volunteer pilots in this awesome education program in partnership with EAA, Experimental Aircraft Association. • Barnes and Noble at The Market Common has free story-times for kids. The schedule changes from the school year to summer, so take a look at their current calendar and make a plan to read with your kids for free.